Their plan to deal with it? Increase their workload and ask for donations. There’s no intent to make light of this organization or the work they have put into their strategic plan. They’ve been dedicated to poverty issues in their community for more than 36 years, and as their plan makes clear, they are not shying away from future demand for their services. But the revenue side of the balance sheet doesn’t look very promising, and rising costs with declining revenues means heading to a dark place at a fast pace. If it were a matter of HOY finding a way to increase attention to their cause in order to tap into a growing donor base, this plan might at least hold some potential for success. But unfortunately, this just isn’t the case, and there’s no reason to expect a change for the better. In the fall 2018 edition of the Nonprofit Quarterly, Patrick M. Rooney’s “The Growth in Total Household Giving Is Camouflaging a Decline in Giving by Small and Medium Donors: What Can We Do about It? paints a bleak picture for organizations like HOY that depend almost exclusively on the generosity of individual working class and middle class donors: “Over the past fourteen years (for which we have data), we have seen a decline in the share of Americans who are donating at all, and a decline in the amounts donated by the typical American household.” It is perhaps one of the cruelest ironies in the nonprofit world that low unemployment and strong economic indicators are actually associated with increased food bank demand. Back in 2016, NPQ identified this issue in “Unemployment Rates Decline, Food Pantries Prepare to Help More People,” which examined anticipated changes in the Supplemental Nutrition Assistance Program (SNAP) and related issues. While government policy is indeed relevant and has the potential to directly devastate food bank operations (as was the case with Food Rescue of York County), employment rates and economic prosperity (for some) is perhaps having the most significant impact. As we explored last month, there is a housing crisis in many part of California, and this is turning individuals and families who are fully employed into new food bank customers. Organizations like House of Yahweh have never been flush with cash. “Throughout our history, we have had truly a hand-to-mouth existence,” said board president Joe Hughes. Their historic donor base is literally dying off, and like so many nonprofits are experiencing, other generations are not necessarily going to take their place. There is a lot of interest in the changing mindsets of younger donors and that intriguing topic can certainly take up most of a charity’s donation campaign headspace. But the reality is that in this current economy, individuals and families that might have been donors in the past, are the customers of the present. 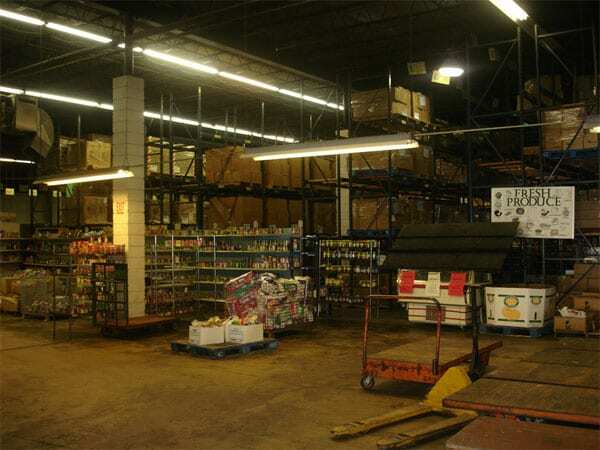 Organizations like HOY often see a temporary surge in donations during the holiday season. While no one has the answers to the question of how to sustain generous and caring attitudes and actions all year long, if you are considering your December donation strategy and food banks are on your list, you can make the biggest difference by making it about others instead of about yourself—in other words, don’t give stupid things.